A resplendent informal restaurant & cocktail bar, set in the crumbling grandeur of a Georgian town house, built for the Duke of Brunswick in 1758. Our cooking is all based around exceptional British produce, sourced from small producers, farmers and fishermen throughout the isles. Our wine list offers a diverse selection from the rustic to the refined, the familiar to the undiscovered. We also have many fabulous rooms available for private events of all sizes. Our waitress was fantastic. She put me and my mum completely at ease and couldn’t have been more helpful. Great food, Great service, fun environment! Love the place. It’s my go to lunchtime restaurant. Great place, a gem amongst the Vauxhall new builds. Bags of personality, a quirky modern British style. Always look forward to an evening there. 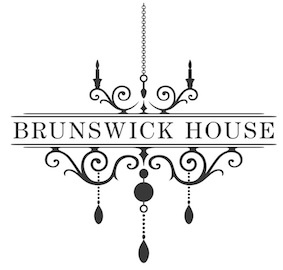 A lovely time as usual at Brunswick House - perfect for my first Mother's Day lunch. Thoroughly enjoyed every minute, and every aspect, of our visit. Will be back asap! We had such a good evening. The service was really great. RThe wine list was well priced but we did thing the menu was very limited. That said, the pork was simply wonderful. 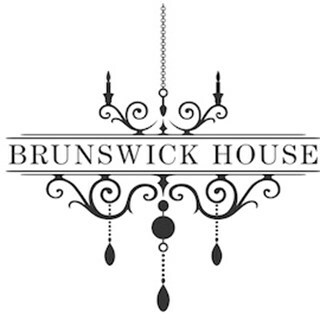 I have eaten at Brunswick House three times and enjoyed each time. The decor is unique and creates a good atmosphere. The food and service are always spot on. the pricing of the food and drink was quite high. the vege main was sized like a starter. a little dissappointed on what i have always considered good value. Very disappointing meal. There were only two (well meaning) staff to serve in the restaurant, which was not enough with several large parties there. The food was average and the place didn’t feel that clean. When my first course came it wasn't what I had ordered. When I told the waiter/manager he said repeatedly that that was the only dish of its kind on offer. There was no apology or acknowledgement that the menu was wrong. There was no attempt at serving me with the food I had ordered, from that day's menu! Very disappointing. Amazing venue. Great wine list. Wonder to have hogget on the menu. Kind of them to give us salami for free because they didn't have the type we wanted to order. Delightful evening at Brunswick House! Amazing food and service as always. Such a gem! Very enjoyable meal in a great setting- staff very nice and food excellent! Definitely recommend for a family meal or celebration. Good food in a nice setting. Really disappointing. Beautiful interior but otherwise overpriced food and un-original flavours. Perfect margaritas and old fashioned cocktails served from the bar followed by a delightful menu of sharing starters and delicious mains. Great wines and service. We were a group of 10 celebrating a birthday party and it was everything we could have hoped for. Thank you Robin!